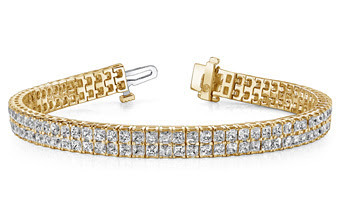 Anjolee has a wide selection of diamond jewelry including the stunning tennis bracelets pictured within this post. My personal favorite is the one pictured above. These pieces are great and versatile enough for a night out, girl's brunch, or even fabulous for work. It's the perfect addition to complete an outfit. 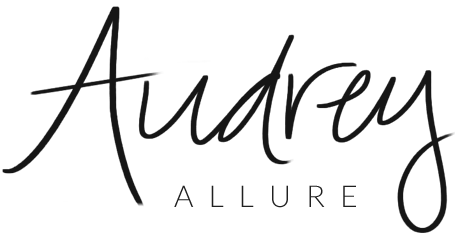 They're made of the highest quality & it's a great deal with the amazing prices they offer for these products since shoppers purchase these items directly from Anjolee. Anjolee is the largest diamond jewelry manufacturer in the US, which allows fast delivery for customers here. Additionally, they offer free shipping & insurance with the selection of overnight delivery as well as free gift packaging! 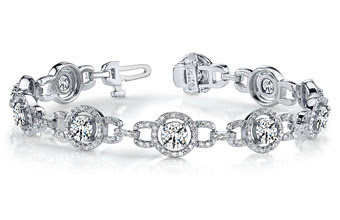 Anjolee has a wide selection of not only diamond tennis bracelets, but also gemstone bracelets, men's bracelets, and bangles in addition to a variety of earrings, necklaces, and pendants. Plus, I don't know about you, but I love being able to customize something to fit exactly what I want/need, and it just so happens that Anjolee offers customization! Users can pick from type of metal, carat weight, diamond quality, and item length just in a few simple steps. It's a great way to keep your budget in check. You also get to view the item in high resolution images in 360 degrees so you really do get a close-up look on the product. With such exquisite pieces like the tennis bracelet above, I think we can definitely agree that Anjolee could be a consideration while shopping for luxury jewelry! *This was a paid post. 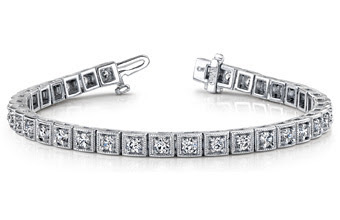 Thanks for sharing, love a classic tennis bracelet! Finally joined Twitter - am following you now doll! Beautiful! 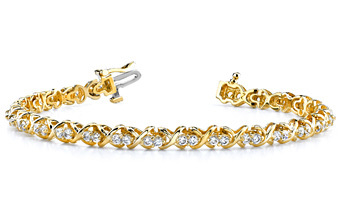 Tennis bracelets have always been one of my favourite pieces of jewellery. I am digging the gold/diamond bracelet best. I love the contrast. There is something fresh about gold jewelry to me again. Those are all so pretty! I'll have to check them out sometime. The last one would match so well with my wedding ring. Great designs. Love this brand. Will surely check them out. I 100% agree with you! These are excellent pieces and I would love to get my hands on one of them. I wonder who I need to drop some hints to since my b-day is right around the corner. Thanks for sharing! I'm always looking for new jewelry designers to explore.